The 2010s hasn't been the best decade for wrestling overall, and it definitely wasn't so kind to tag team wrestling until recently. The decade saw some makeshift tag teams, most of whom were pretty cringe worthy, and a few full time teams that missed the mark. With that being said, I wanted to look at five of the worst teams in the WWE since 2010. Let's take a look. -The only saving grace of this team was Naomi and Cameron. Literally. The fact is, the shuck and jive of Brodus Clay wasn't anything worthwhile, and adding in the former Prince Albert wasn't any better. The Lord Tensai gimmick was a joke from the start and once these two competed in a dance off (after Tensai came out in lingerie), they would become partners. Still, this entire tag team run was pointless, continuing for months before Brodus Clay turned heel. Lord Tensai had nothing else to do shortly after and Brodus Clay would eventually leave WWE. 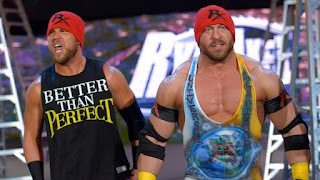 This tag team was horrible and I really can't think of a reason that WWE thought this team was a good idea. -I really didn't understand this team at all. Two of the worst possible choices were placed together to go at CM Punk and help Paul Heyman. Soon after they were placed together as the worst Paul Heyman guys, they eventually broke away from Heyman and became a jobber tag team for a little while. 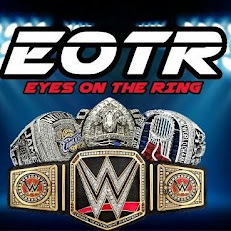 They would challenge The Usos for the titles, but come up short. Two wrestlers that aren't that great combining to make a team.... usually makes for a disappointing tag team, and this was no exception. Rybaxel was such a horrible team. -This was another short lived team, but boy, was it terrible. 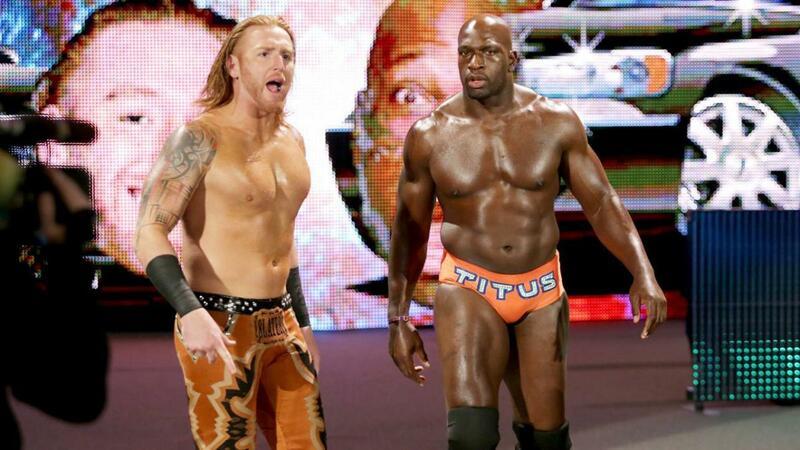 I think Titus is talented and Heath is cool as well, but this was a makeshift tag team that literally served no purpose. They had no success in their short time together, except for a few small wins over Zack Ryder and Sin Cara and one big win over Goldust and Stardust, but they would also rack up a loss to the small team of El Torito and Hornswoggle, as well as losses to Big E and Kofi Kingston as New Day was just getting started. After a useless feud between them and Adam Rose (and his Bunny), this team disbanded. 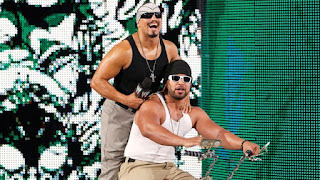 Some people remember this tag team fondly, but to me, they were a horrible team overall. Period. -If there was ever a tag team that was just horrible.... this is one. 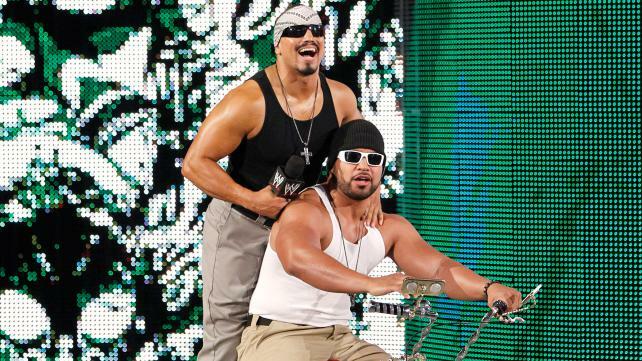 Camacho never worked and Hunico was too stereotypical of a gimmick to really work. However, these two were together for a while, and they literally had zero success. 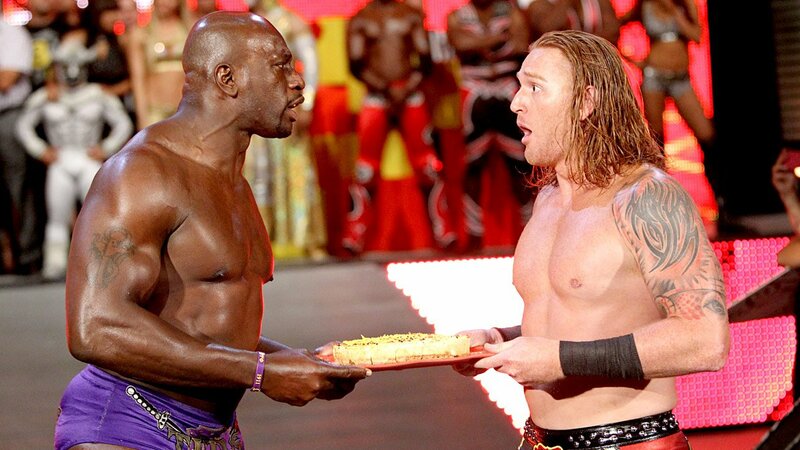 The only spectacular moment they even had as a team was challenging for the Tag titles briefly against R-Truth and Kofi Kingston. Otherwise, this team was nothing more than a waste of time and space on WWE TV. -In NXT, this was a good team. They were dominant. They were interesting. 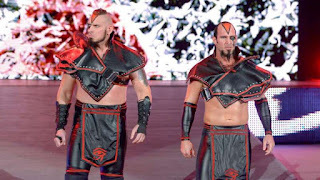 Granted, they were a rip off combination of Demolition and the Road Warriors, but still, they were good in NXT. Since coming to the main roster however, they've been glorified jobbers. There aren't any significant feuds to speak of for them on either RAW or Smackdown. The most recent success they have had came from being a joke in the Fashion Files. After being one of the first teams called up from NXT, this is without a doubt the most disappointing team of the decade considering all of the hoopla surrounding them in NXT. Of course, WWE never knows what to do on the main roster with their NXT teams and this was no exception.